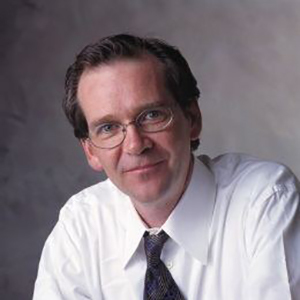 Rob Burgess graduated from the DeGroote School of Business in 1979 with a Bachelor of Commerce. He helped work his way through college by being a manager of the Breadbin, the on campus grocery store. His experience doing this aided him through his career. In 1984 he became the first Canadian employee at Silicon Graphics, a hot new startup in the emerging field of 3D computer graphics and in 1990 he became vice president of applications and moved to Silicon Valley. Burgess returned to Toronto to become CEO of Alias Research, a young public company with great software technology used in those movies and significant financial issues and an SEC investigation. The new team orchestrated a financial turnaround and Alias became the leader in high end 3D software. They went on to develop Maya which emerged as the standard and won an Academy Award for Scientific and Technical Achievement. In 1995, Alias was purchased by Silicon Graphics for $460M and Burgess integrated Alias and Wavefront with Silicon Graphics as President. From 1996-2005 he served as CEO (and later also chairman) of Macromedia, the largest company in technologies to make cd-roms. He led its transformation to be the leader in interactive multimedia technologies for the internet. Macromedia was acquired by Adobe in 2005 for $4B, one of the largest software deals in history. Burgess joined Adobe’s board of directors at that time, where he still serves.